This entry was posted in Books, Catch ALL page (blog), Cover Design by Kim and tagged book cover, book cover design, Books, Cover Design by Kim, Thoughts, What I'm reading on July 30, 2018 by KiM. Boy this post has been a long time coming! Now we did physically build another house, move and I had other projects going but I think I’m at least a year overdue on writing the post. The sister duo already has a new series about the Brown Mountain Lights with one out and the second one in the works. I guess I’ve just been busy with things but today while clearing out my computer files I decided to post before some of the files I had were deleted. This entry was posted in book cover design, Books, Catch ALL page (blog), Cover Design by Kim and tagged book cover, book cover design, book cover photography, Cover Design by Kim, The making of on September 26, 2017 by KiM. 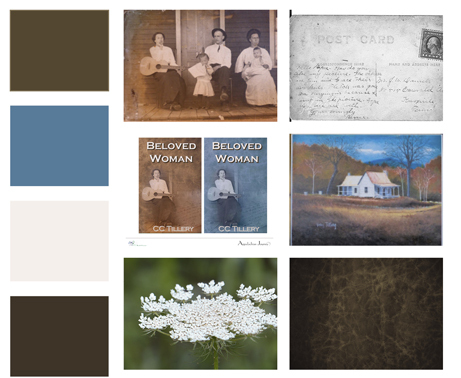 The third book cover I designed for the sister-duo, CC Tillery was actually a redesign of their first book in the Appalachian Journey series, Whistling Woman. This entry was posted in book cover design, Book Covers, Catch ALL page (blog), Cover Design by Kim and tagged book cover, book cover design, book cover photography, Books, Cover Design by Kim, The making of on December 31, 2015 by KiM. I met Cyndi, one of the authors of CC Tillery at a writers group. I thought we connected as we have several things in common. We are both authors, we both love animals, we both enjoy where we live and we both value family. I don’t remember how many titles Cyndi had out when I joined the writers group, just that she was a member and an author long before me and had experience in areas of writing I didn’t even know existed. Some of the gals from the group started meeting for lunch before the meetings and she mentioned she wanted a new cover for one of her angel series books that she pulled from print. She described it and I started working on it. She liked what I came up with. 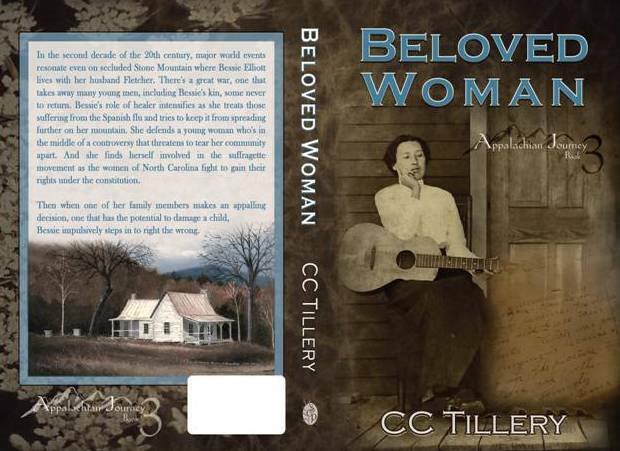 I’m not sure of the sequence of events because we were both working on our own books and I was hired to do a cover for another group member but when it came time for Cyndi and Christy to release Beloved Woman they gave me the opportunity to design the cover. I’d read Whistling Woman and I think Moonfixer at this point so I had some idea of the mood of the series. Starting an idea board or style sheet was my first step. Pinterest works great for this too especially if the author and I are collaborating long distance. Choosing a text style came next. I looked at this title and book #4 Wise Woman in case I was hired for that cover also. 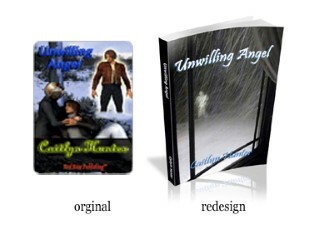 I listened to what this third book in the series was about and bounced ideas off Cyndi. The biggest request was that Bessie, the main character in their series be on the cover. She showed me some photos of Bessie in the right time frame over lunch and I knew I wanted to work on the one that was actually a postcard. Since this book was the third in the series I wanted to keep the old look but wanted to start more of a theme with the series. Not sure why ‘beloved’ made me think of blue but it did. I made one proof in blue and one proof in brown and they let their readers choose. Hands down the brown won. Not quite being ready to throw in the blue completely I used it with the brown. This was an old small family photo postcard that needed editing. It needed people removed, damaged parts repaired and contrast added. I added part of the postcard on the front and a photo their dad John Tillery painted to the back. The front texture behind the photos is leather and the back texture is from a photo I took of Queen Anne’s lace because Bessie uses herbs, flowers and such in the books in her Cherokee medicine. I designed a series and imprint logo to complete the design. Both Cyndi and Christy are very generous in the freedom they give me to create a cover. They also typically give me plenty of time to let my ideas stew. After the cover for Beloved Woman, they hired me to redesign the second book in the series Moonfixer. Look for a post on that soon. This entry was posted in book cover design, Book Covers, Books, Cover Design by Kim and tagged author, book cover, book cover design, book cover photography, Books, Cover Design by Kim, The making of on July 8, 2015 by KiM.